The Amazon Echo Dot is a small Bluetooth speaker which is capable of far more than may first be apparent. It provides access to the internet and to a variety of systems around the home. But the real jewel in its crown is the fact that it has an excellent voice recognition system combined with high quality microphones. You can talk to this small device from the other side of a crowded noisy room and it will respond appropriately. 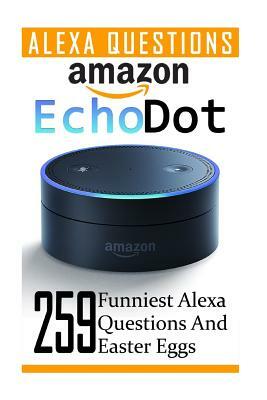 A selection of 23 film related questions and phrases with the responses you will get from Alexa. A further selection of 42 general statements designed to get some excellent responses. Alexa's answers are, again documented. A further selection of 194 questions and phrases for you to test quit yourself. You will just need to remember to start them with Alexa and many of them will have multiple responses.